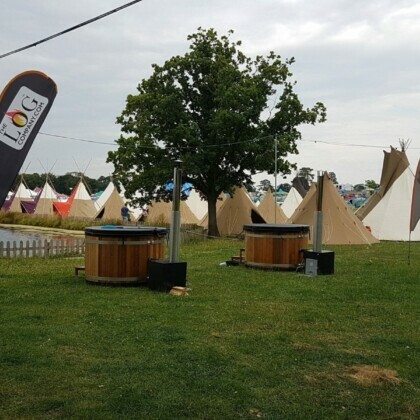 Glamping stands for ‘glamorous camping’, correct? 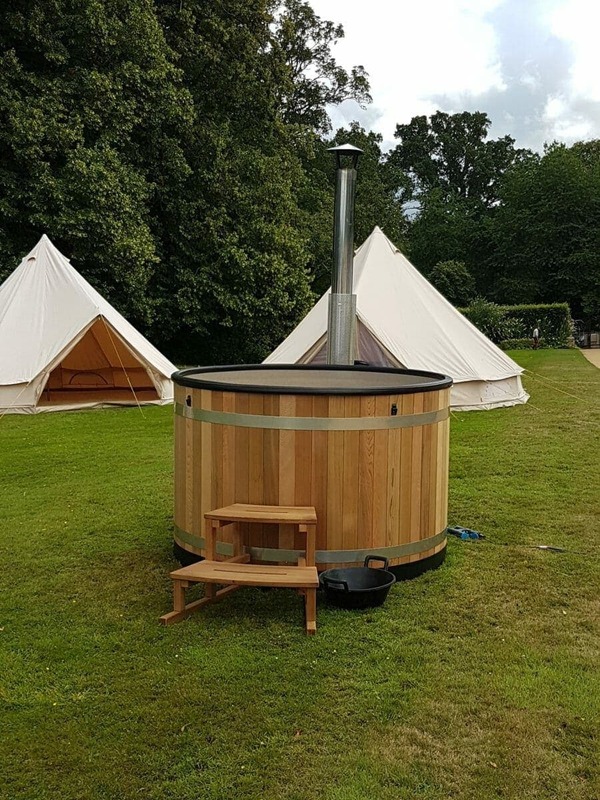 Well what could be more glamorous than having access to the delicious woody smells and welcoming warm water of your very own wood fired hot tub during your glamping trip? 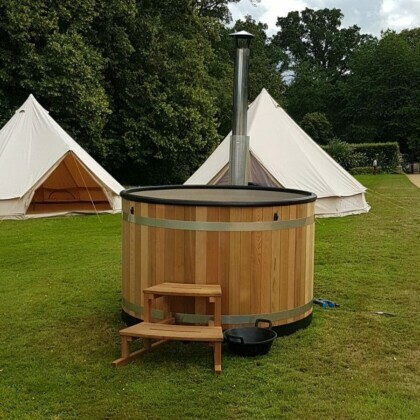 We can offer Glamping site owners the opportunity to buy wood fired hot tubs for their yurts, teepees, cabins, shepherd’s huts or gypsy caravans; or if you’re planning a glamping holiday yourself you can look into hiring one to set up by your chosen accommodation for the duration of your holiday (with the site owner’s permission of course). Our hot tubs offer the ideal way to enjoy a breath-taking view or to unwind after a busy day of outdoor activities. They look superb paired with an attractive rustic yurt or on a deck next to a traditional cosy shepherd’s hut. Economical and eco friendly; no electricity required. We can supply suitably sized logs to keep the hot tub going. Our hot tub trailer can be towed into a field for rental purposes and won’t damage the grass underneath, making it much more appealing for site owners than individual hot tubs. Our standard 1.8m hot tub seats 4-6 people. We also supply smaller and larger hot tubs.